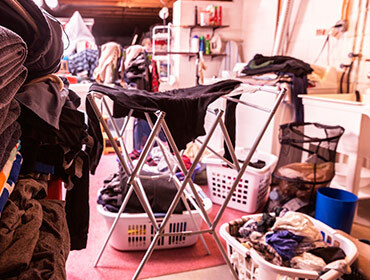 Unused junk, such as 90’s VHS tapes, old clothes, outgrown baby gear, and other unused items could add hours of hard work to your move that could be easily avoided. These are useful tips for getting rid of unused items before you move. You need to make 3 stations. Things that you can’t live without, things that would be nice to have and things that you need to get rid of. For example, my toaster went into the first pile, my TV stand went into the next pile and my VHS tapes of Barney went into the third. It is a heart wrenching but necessary part of moving. Then, see if you have place in your new home for things in the first two stations. If not, only move things from the first station into your new home. If you don’t want to have a garage sale in real time, you can do it virtually through sites like craigslist.ca, Kijiji.ca, or freecycle.org. Easy, quick and efficient! Don’t try to declutter all the rooms at once. You will get overwhelmed. Start small, work your way up and make sure that you label all packed boxes. The stress of guessing what is in an unlabelled box, is so not worth the effort. Label the boxes with a number corresponding to the room that it should go into will save you time and effort. Above all, it is important to remember to fill your new house with less stuff and more memories!